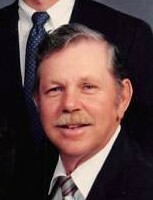 Touchton David Tarrance, age 79, of West Green, Georgia passed away on Saturday April 6, 2019 at his residence following an extended illness. Mr. Tarrance was born on February 10, 1940 in Nicholls, Georgia the son of the late Ivy Touchton Tarrance and Lula Kirkland Tarrance. He was a prominent tobacco auctioneer, a farmer and a member of West Green Church of God. He was also was a member of the Georgia National Guard from 1957 to 1969. Mr. Tarrance was preceded in death by a son David Martin Tarrance. Survivors include his wife of fifty-seven years, Jacquelyn C. Tarrance of West Green, GA; daughter, Donna Deen (Bruce) of West Green, GA; granddaughter, Hannah Tribble (Zach) of West Green, GA; two sisters, Ivylyn Townsend of Jacksonville, FL and Evylyn Tarrance of West Green, GA; special friend, Wesley Kight of West Green, GA; niece, Rhonda Alvarez of Jacksonville, FL; nephew, Ivy Townsend of Jacksonville, FL; great nephew and great great nieces; special family friends, Olin, Stacia, Bryce, Abby, Lexy and Tyler Greer, Sherry Hanes and family. Funeral services will be held 5:00p.m.Wednesday April 10, 2019 at West Green Church of God with Rev. Olin Greer ,Rev. Justin Moriarty and Rev. Hugh Anderson officiating. Interment will follow at Burkett Baptist Church Cemetery. The family will receive friends Tuesday evening from 6pm until 9pm at Sims Funeral Home.